Ah, the breath of fresh air that is Amy Kuretsky. Join us as we chat with our great friend and wonderful healer Amy, licensed acupuncturist, herbalist and health coach. 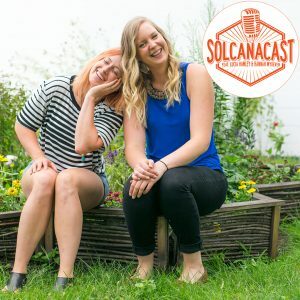 We talk all things, including powerlifting competition prep, crystals (#woowooAF), how Amy has been pharmaceutical-free for her Chron’s disease for almost 7 years, and what drink is her go-to in the morning (hint: it’s not coffee!). Grab yourself a warm mug of something tasty and tune in to this glorious chat! Challenge: get woowoo with your bad self and go check out some crystals! See which speak to you.